Express love for each other, in the beautiful Himalayan surroundings of Shimla and Manali. Explore the most gorgeous valleys, spectacular mountains, thick forests. Let valleys of Himachal turn your 'just holiday' into a romantic tour. An 11 day long sojourn to beautiful hill stations of North India will revitalize your sense with new vigor and will bequeath you with memories to be cherished for life. The tour encompasses various gorgeous hill stations of the country perfect to beat the summer heat of the plains. The destinations included are Delhi, Chandigarh, Dalhousie, Chamba, Dharmashala, Manali and Shimla. 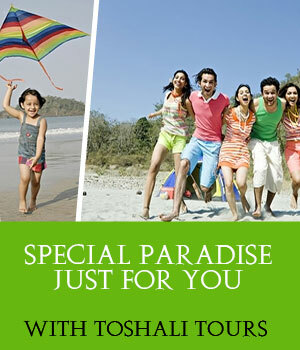 Explore all the main tourist attractions at all these destinations under the guidance of expert guides and historians. Destination Covered : Delhi - Chandigarh - Dalhousie - Chamba - Khajjiar - Dharamshala - Manali - Shimla - Delhi. Pick up from Delhi Railway station / Airport, drive to Chandigarh. Check-in the hotel. Afternoon visit Rock garden, Museum, Art Gallery, Pinjore Garden and more. After breakfast, drive to Dalhousie, followed by hotel check-in. Today proceed to Chamba en-route visiting Khajjair Sanctuary. Overnight stay at Dalhousie. Drive to Dharamshala. Explore Mcleodganj, its small bazaar selling & Namgyal Monastery. This morning the entire day is at leisure. After breakfast drive to Manali, followed by overnight stay at the hotel. Visit Hadimba Devi temple, Vashisht Bath, Jagat Sukh Tibetan Monastery and handicraft centre in Manali. Also visit hot sulphur springs in village Vashisht. Drive to Shimla, followed by check-in and overnight stay at the hotel. Full day local sightseeing and visit all the main tourist attractions such as Kufri, Fagu, Naldhera, Mashobra and back to Shimla. After breakfast, back to Delhi and transfer to Railway Station / Airport.